“I had enough work ethic instilled in me by my parents,” he explains to Noisey over the phone a few days after the South By Southwest (SXSW) premiere of Harmony Korine’s The Beach Bum, where he plays himself. “I also had a slight bit of talent and a little bit of luck. That’s what it takes. It’s mostly perspiration.” 72 years young and 50 years into his career, Buffett is reaping the rewards of a whole lot of sweat. 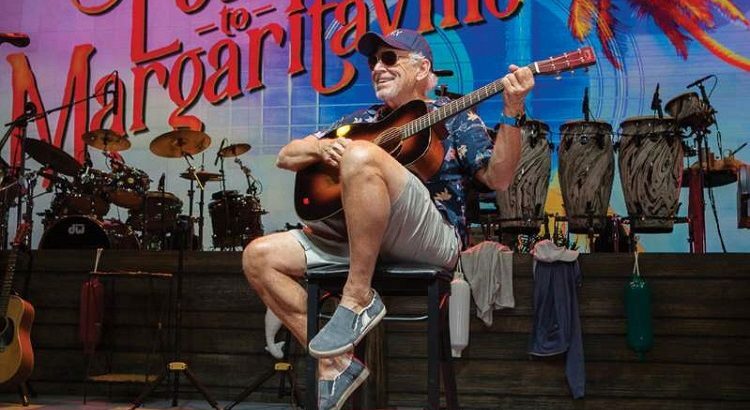 With 27 studio albums under his belt, 17 of which have charted; a Margaritaville empire that includes restaurants, hotels, and margarita machines; and yet another world tour planned for summer 2019, Jimmy Buffett knows what hard work is, though he knows some luck is required too. Noisey: The Beach Bum looked like an absolute blast to be around. Buffett: With Beach Bum, Harmony [Korine] was a good friend of my wife and daughter. He approached me about doing it, mentioning that I’d be doing most of the background music for the thing. I asked him what the role was, and he said, “It’ll be three weeks of shooting,” and I said, “Nope, not me!” I was supposed to have been Snoop’s character, [Lingerie]. That was the original role for me, as the guy that Moondog looks up to. When that didn’t happen, they wrote me into a little scene, and then they got Snoop Dogg. Obviously that worked out better than me [laughs]. You won’t find Margaritaville on any map, but it is taking over the globe. A little over 40 years ago, singer-songwriter Jimmy Buffett released his hit album “Changes in Attitudes, Changes in Latitudes,” featuring a catchy tune about wasting away in a tropical locale. In the ensuing decades, the pop song has been transformed into a roughly $2.5 billion licensing and hospitality operation. Margaritaville Holdings encompasses everything from restaurants and hotels to apparel and shoes. 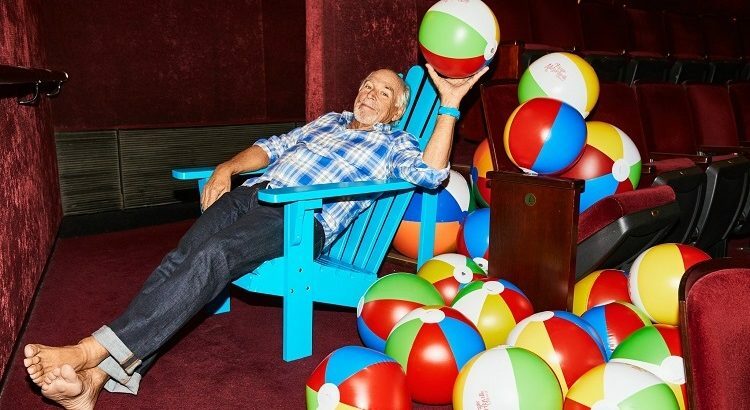 Here in New York, it debuted a Broadway musical in January — “Escape to Margaritaville” — and a Times Square hotel is in the works for 2020. Buffett is deeply invested in all these endeavors. When FN visited him in the green room at the show in April, Buffett was peering out the window watching the lines outside. And he made a point of mentioning that the cast wears his Margaritaville footwear onstage. For fall ’18, the company is further boosting its shoe selection with a new label called Island Reserve. 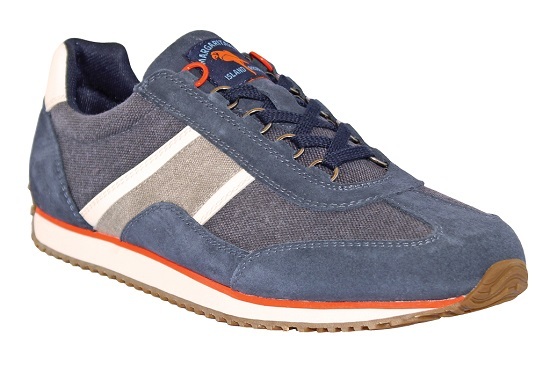 It will be a higher-end complement to the Margaritaville collection, which is stocked at major chains such as Famous Footwear and DSW, and sells for under $60. How would you describe the Jimmy Buffett brand? Have you enjoyed being in the theater business? “I like to think I’ve made the world a little happier than it was before I got here. I’m not looking for awards and personal gain more than what I’ve already got. There’s an old French saying, ‘noblesse oblige,’ which means if you’re lucky enough to have this, then you help other people get there. I want to teach and I want to help kids who need financial aid getting into school – education is the thing that gets you places. It has been 40 years since Jimmy Buffett traveled on a whim to the French island often known as St. Barts. He liked what he saw then from the deck of his sailboat, and he has continued to return: surfing off its beaches, writing books and songs and celebrating many a holiday, including Christmas, which is his birthday. He is 71 now, as much business mogul as entertainer, branding Margaritaville to sell everything from pool floats to retirement homes. But he has also used his clout and voice to support St. Barts after Hurricane Irma, sending private planes to help ferry supplies in the early days after the storm and giving a benefit concert in the port of Gustavia in December. 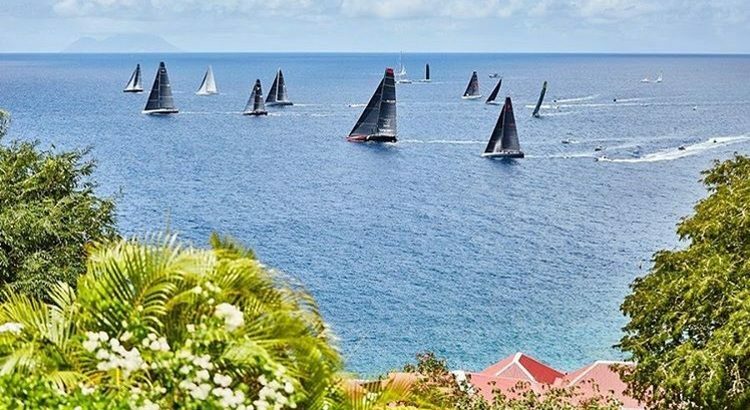 He is one of the ambassadors for Les Voiles de Saint Barth, the annual sailing regatta that will take place this month despite the challenges posed by the island’s recovery efforts. He is in the process of building his latest home on the island and plans to race aboard a friend’s yacht during the regatta. He did this interview from his boat in the Bahamas. It has been condensed and edited for clarity. Why was it important to you to be involved in this race? I think there’s a little bit of that apprehension in everybody there who went through Irma but you’ve got to keep moving on forward, breathe in and breathe out and move on. That’s kind of the way I think about it. “I like to put him in a movie once in a while,” says Frank Marshall of Jimmy Buffett, who has uncredited cameos in both Jurassic World movies, including June’s Fallen Kingdom. “And he puts me onstage once in a while at his concerts. 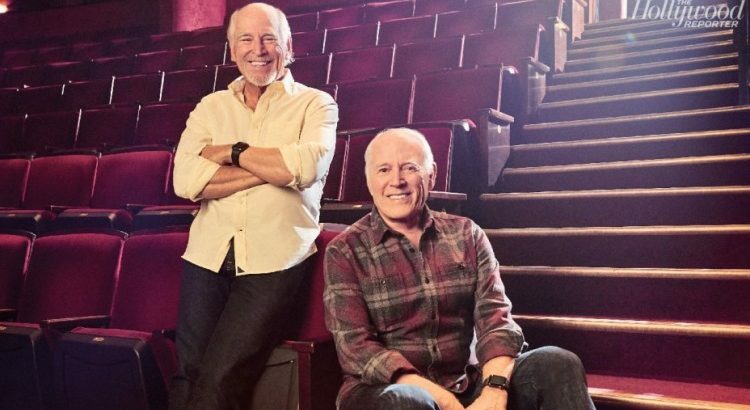 But we’ve never put our heads together and created something from scratch until now.” What the longtime pals, both 71, have created is Escape to Margaritaville, a musical centered on Buffett’s oeuvre — and the beach-bum lifestyle he trademarked (literally, with his empire of restaurants, products, even retirement communities) — that starts Broadway previews Feb. 16. Not only did their friendship survive the five-year journey to create the show, but “we had a blast doing it,” says Marshall. “I’m kinda like the stand-in?” Marshall says. Mr. Buffett hasn’t stopped touring in his nearly half-century as a performer, but it had been a long time since he did a last-minute set at a bar. He had to get on a stage with a pickup band like in the old days and really get back into the original iteration of Jimmy Buffett. That night, he went to the original Margaritaville bar in Key West, which he opened in the mid-1980s, unannounced, and played a three-and-a-half-hour set. He told stories between songs. He kept the audience active. It felt good to be back there, remembering who he once was. Mr. Buffett and I both saw “Escape to Margaritaville” in New Orleans on Oct. 28, which is a day that fans have long since designated as Parrothead Day, though Mr. Buffett doesn’t know why. In the audience, fans wore feathers on their heads. When they sang along, it was in a unified hum, reminding Mr. Buffett of the recitation of prayers in church during his altar boy days. After the show, there had been a big party where Mr. Buffett D.J.’ed alongside the movie producer Frank Marshall, who is his friend and one of the show’s creators. He had a tequila on the rocks and “a lot of water.” He’s 71, a married father of three adult children. He only occasionally drinks margaritas these days. “I don’t do sugar anymore,” he said. “No sugar and no carbs. Except on Sunday.” He doesn’t smoke pot anymore, either. Now he vapes oils, only sometimes after work. A FEW WEEKS before the Broadway debut of “Escape to Margaritaville,” Mr. Buffett had breakfast at the Mandarin Oriental, next to his apartment at the Time Warner Center, where he stays when he’s in town. Once, a long time ago, he left Key West because it had become too commercialized. Now he lives at the mall. Jimmy Buffett is a stand-up guy. Half the time, anyway. 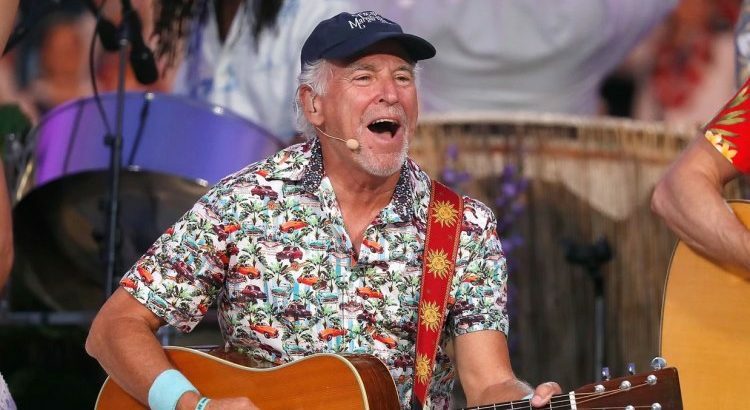 The massively popular singer-songwriter and Parrothead-in-chief has been in and out of San Diego of late, helping shepherd the La Jolla Playhouse world premiere of “Escape to Margaritaville,” a Broadway-bound musical built around his songs. 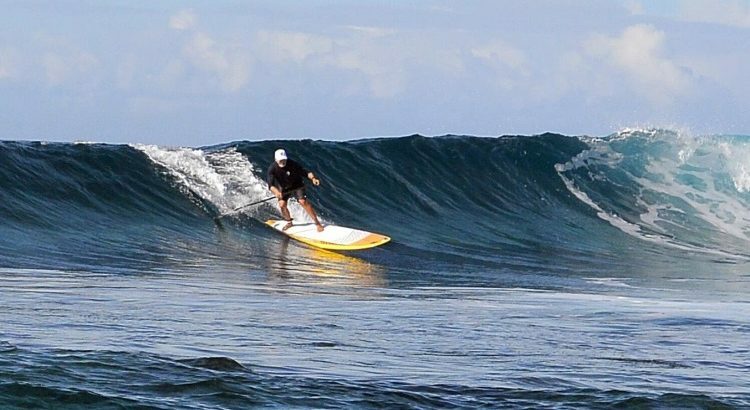 Now, if you’re a longtime surfer (as the 70-year-old Buffett is) who’s looking to try riding waves on a stand-up board (as Buffett was a decade ago), you might think about getting a board designed by the world-class waterman Laird Hamilton, who essentially launched the modern SUP phenomenon. If you’re the actual Jimmy Buffett, you go ahead and buy the Laird board — and then have Hamilton himself teach you how to use it. 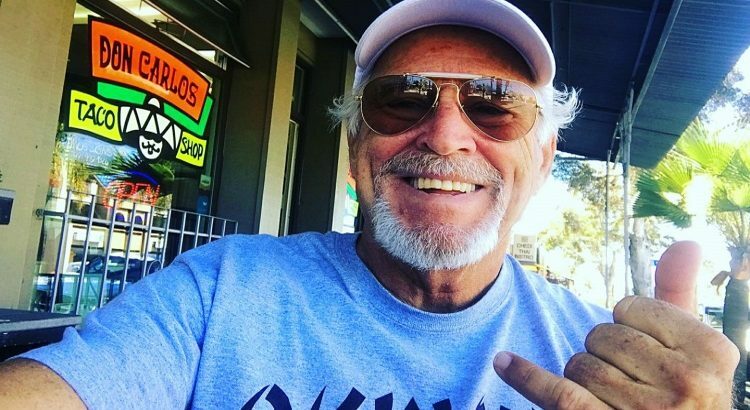 That was among the things I learned over the course of a long phone interview with Buffett, which was mostly devoted to “Margaritaville” but also detoured (happily) into a chat about his surfing and SUP exploits. Q: Are you a full-time SUP guy now, or do you still do both? A: I still do, because I think they both complement each other. I’ve probably been doing (SUP surfing) for 10 years, because it was the new new thing, and I surf mainly in the summer up in Montauk on the East Coast. There was like a Laird Hamilton 12-footer, so I bought one and I had no clue what to do with it. You go out in the water and you watch the kids do it. And the first thing they told me was, get your balance on a lake and then go out. Long story short, I went out to a wedding in Malibu and ran into Laird, and so Laird actually taught me how to ride the board. And then I was hooked. We just got back from Tavarua, which was amazing. I’m gonna have to scratch that off my bucket list. So I did regular surfing one day, and stand-up the other. We were doing two sessions a day. I think stand-up really helps your regular surfing, because you’re up (on your feet) so much — that’s the thing about it. I think your balance and your ability to be on the board and be comfortable on a regular board is accentuated by the amount of time you spend standing up on a stand-up board. The thing of it is now, too, is that they have such great boards, Jim, that they didn’t have in the beginning. I’m riding a Naish, a 9-footer, but it’s 32 inches on the beam. And it’s a quad (fin). So you really can get into things so much faster. It’s not like before, where it was like having a tugboat on a leash. I’ll tell you what, it keeps you in shape. But when we got to Tavarua down there, that was like a dream come true. I really caught a couple of great days out at Namotu. I know my limits now, but every now and then you’ve got that kid in you who wants to go. So it was amazing down there to get in overhead waves that just went and went and went. As fast as could be. After a week of it, I went down to Australia to do some shows, and kept surfing down there, and then back to Hawaii. But I know that after that experience, to spend that much time on ’em, I can do bigger waves more comfortably, and feel comfortable on ’em. But I still get on my belly and paddle. I do both — it’s great!